It's the first Friday of 2018, so that means it is time for me to share this week's edition of Friday Favorites. Let's get straight into this week's post!! This is one of our family's favorite weeks because there is just so much happiness to celebrate. First we celebrated Nataleigh's 5th Birthday, and then two days later we got to celebrate Our Main Man's 35th Birthday! Oh what a wonderful week it was, too. She's obsessed with her baby, Isabel. We found her THIS DOLL, and she loves being Isabel's mama! The NUM NOMS surprise box was a HUGE hit, also! And my grandparent's got her this adorable party dress & caplet, and she loves it!! My mom is the birthday cake/cookie queen. Nataleigh requested a sugar cookie cake with a mermaid on it, and Nana came through! It was such a fun night celebrating our girl!! We also spent all day Thursday celebrating this handsome fellow. We had a nice sushi lunch date, Carson's basketball team won, and then a family dinner at our FAVORITE spot, Barberitos! I said it yesterday, but it deserves saying again. Joseph is our rock. He deserves the world, and I'm so thankful for the quality time that we got together yesterday. We have more fun & relaxation planned for this weekend!! The boys were supposed to go back to school on Tuesday, but due to inclement weather, they were out an additional day. They did, however, head back, on an 2-hour delay, on Wednesday. And these boys were so excited! I'm so thankful for the incredible teachers & staff who've made school life so enjoyable for these boys that they actually counted down the days until they were back! It was a short-lived return, because the frigid temperatures & weather caused them to miss the rest of the week. We aren't complaining too much though! I've been binge-watching The Crown like none other! I just can't quit the House of Windsor, and I have no shame!! Also, Joe and I were so excited that The Blacklist was back from the Fall Break! I cannot wait to see how everything that happened in the mid-season finale will change poor Liz! I mean, could they be any cuter?! Between this and the Royal Wedding, my pop culture-loving self may explode!! Next week I'm going to start by sharing some of my personal goals for the month of January. Goal-setting is such a great motivating tool, and I really hope that these posts keep me accountable. They are some of my favorite posts that I read from my fellow blogging friends! Happy Friday & Happy Weekend, friend. The Hensley 5 has quite the weekend planned. Royalty meetings, basketball, and a little anniversary getaway. 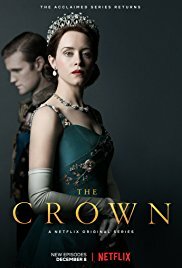 I've heard such good things about the Crown! I really need to watch it! 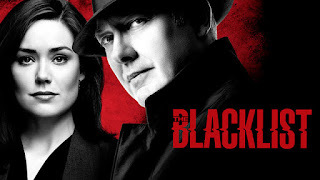 I love Blacklist too, but I'm not totally caught up yet! It is SO good. Most of the times I forget I'm watching actors because they look and sound so much like Queen Elizabeth & family!